Fremont Memorial Chapel serves Milpitas CA and surrounding areas with comprehensive funeral and cremation services. The Memorial Chapel is a family run business that boasts two modern funeral homes based in nearby Fremont California. 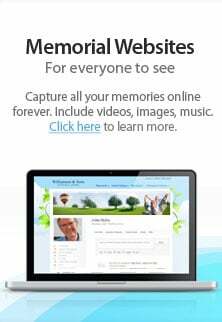 We hope that our website will prove resourceful to anyone who has experienced the loss of their loved one. Our compassionate staff and funeral directors help you plan your memorial or funeral service. From our first contact with your family, our team of funeral directors provide compassionate, meticulous attention to detail. The staff at Fremont Memorial Chapel is committed to providing a comprehensive and compassionate funeral service. We provide a wide range of funeral services including planning for a traditional graveside service or cremation. We cater to all denominations from traditional catholic funeral to Indian and Hindu funerals. Please contact us for any special requests you might have. You will be helped and guided by our experienced and friendly staff. Both our locations deal in all aspects of the funeral service including pre-arranged funerals. If you need urgent help or simply want to pay for their own funeral in advance, we are ready for your call. Fremont Memorial Chapel offers prepayment funeral plans to individuals who want to be sure that they will receive a particular type of funeral service upon their passing. We do this because we are aware that when a person dies, it can become difficult for their loved ones to make sound decisions. The advantage of pre-payment plan over other plans such as a life insurance policy is that you make a payment now at the current price and we guarantee to offer our funeral services anytime we are required to do so. Also, you will be assured that your money will be kept in a funeral fund until the day when our services will be needed. Please contact us for any special requests you might have. If you have any questions or concerns, please call us at (510) 793-8900 and will gladly help you. We are available 24/7.